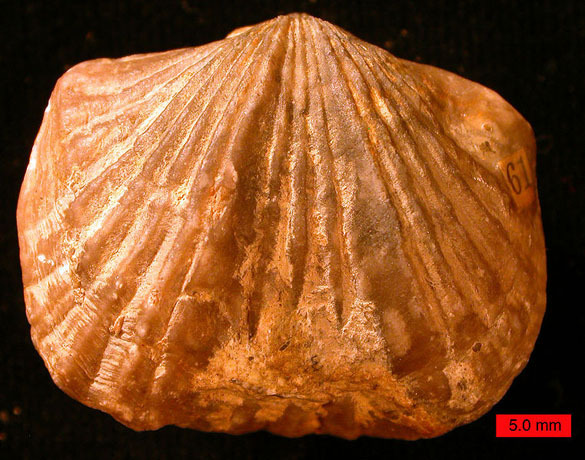 This beautiful brachiopod is Vinlandostrophia ponderosa (Foerste, 1909), an orthid brachiopod from the Maysvillian (Upper Ordovician) of southern Indiana. Until recently it had been traditionally known as Platystrophia ponderosa until a critical paper by Zuykov and Harper (2007) investigated the “Platystrophia plexus” of species and convincingly made P. ponderosa the type species of Vinlandostrophia. Brachiopods are filter-feeding, bivalved marine invertebrates who have been with us since the Cambrian Period. 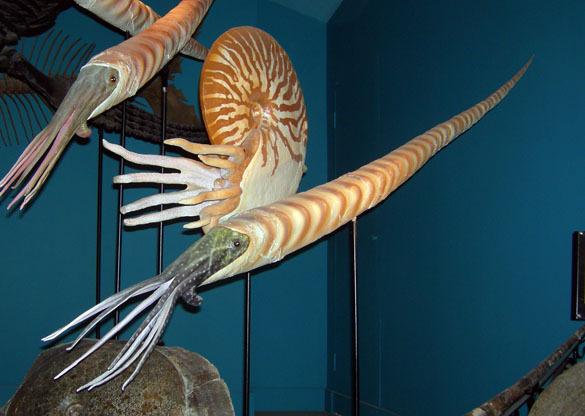 They were among the most common animals of the Ordovician. The fossils of the Cincinnatian Series in southern Indiana, southwestern Ohio and northern Kentucky have extraordinary numbers and varieties of fossil brachiopods — so many they roll under your feet in some places. August F. Foerste (1862-1936) described what he called Platystrophia ponderosa in 1909. He was a pioneering paleontologist who grew up and worked in the Dayton area. Foerste went to Denison University where he was a very successful undergraduate, publishing several geological papers. He returned to Dayton after graduation with a PhD from Harvard, teaching high school for 38 years. When he retired he was offered a teaching position at the University of Chicago, but instead went to work at the Smithsonian Institution until the end of his life. 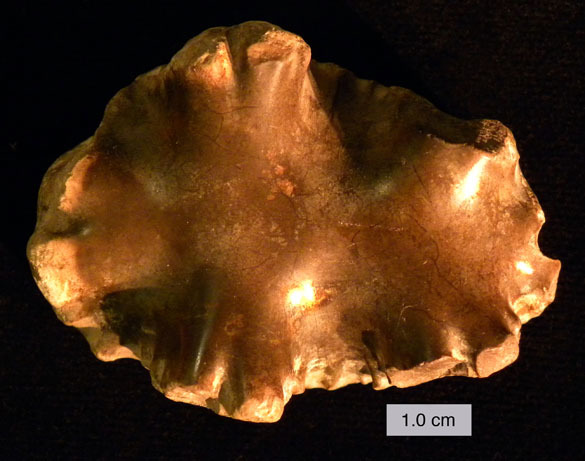 This is, by the way, the 500th post of the Wooster Geologists blog. It is great fun. 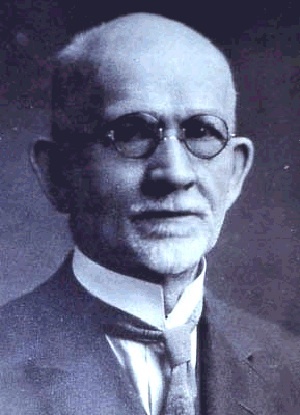 Zuykov, M.A. and Harper, D.A.T. 2007. Platystrophia (Orthida) and new related Ordovician and Early Silurian brachiopod genera. Estonian Journal of Earth Science 56: 11-34. In September 1862, Union forces under General George B. McClellan pursued General Robert E. Lee‘s Army of Northern Virginia through northwestern Maryland. Lee had invaded Maryland to demoralize the North ahead of the November elections, and to convince Europe that the Confederacy had legs and deserved recognition. A copy of Lee’s orders were lost (famously found by Union soldiers wrapping three cigars), alerting McClellan to his plans. The key to defeating Lee lay in capturing three passageways through South Mountain, one of which is known as Crampton’s Gap (shown above in this Google Earth image). Crampton’s Gap as viewed from the southern side looking north. There were no structures here during the battle. South Mountain is a north-south extension of the famous Blue Ridge into Maryland. 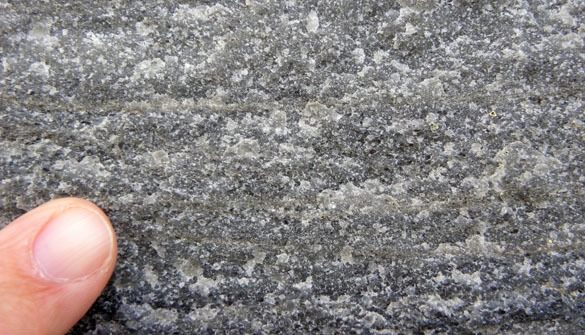 It is a sharp ridge made of resistant metamorphic rocks, including gneisses, schists and quartzites. The slopes on either side are unusually steep and so passing from east to west over the mountain is best done through “gaps” made by eroding antecedent river systems. Water gaps are deepest and have streams currently flowing through them. (One is made by the Potomac River.) A wind gap was also made by river erosion, but the water was long ago snatched away by stream piracy. 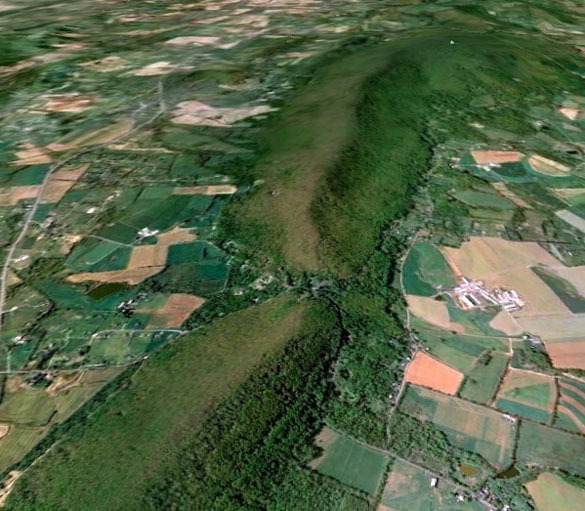 Crampton’s Gap (39° 24′ 36″ N, 77° 38′ 24″ W) is a wind gap less than 300 meters wide. Quartzite exposed in Crampton’s Gap, probably from the Late Precambrian (?) Swift Run Formation Cambrian Antietam Formation (thanks, Callan). 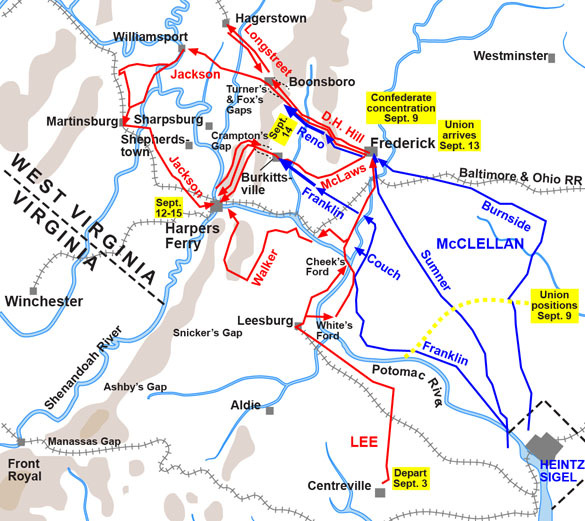 On September 14, 1862, McClellan finally moved on Lee and attacked the three gaps through South Mountain to turn back Lee’s invasion. 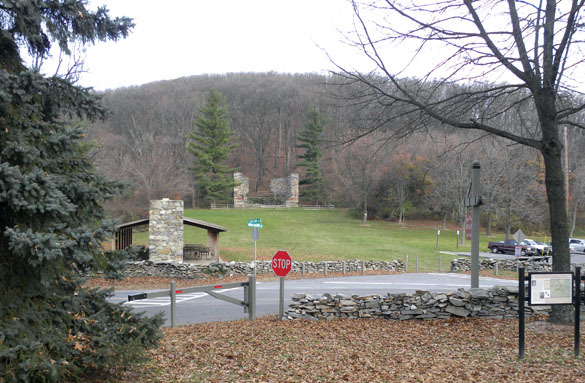 Crampton’s Gap was the southernmost part of what later became known as the Battle of South Mountain. Union forces under Major General William B. Franklin, after a long preparation, attacked from the east a much smaller Confederate force at Crampton’s Gap. The Confederates resisted all day, taking advantage of the steep slopes and narrow pass with a battery of cannon. By the end of the day, though, the Union force broke through the Confederate lines, sending the remaining rebels down the western slopes. Strangely, Franklin failed to follow up on his victory, allowing the rebel troops to join Stonewall Jackson to capture the Union garrison and arsenal at Harpers Ferry. The overall battle was a Union victory as it blunted Lee’s invasion, forcing him to stand at Antietam and eventually retreat from Maryland. The resistant rocks of South Mountain protected his army long enough for him to frighten the Northern public, but those ancient wind gaps were his undoing. This is a specimen I often place on my Invertebrate Paleontology course lab tests. 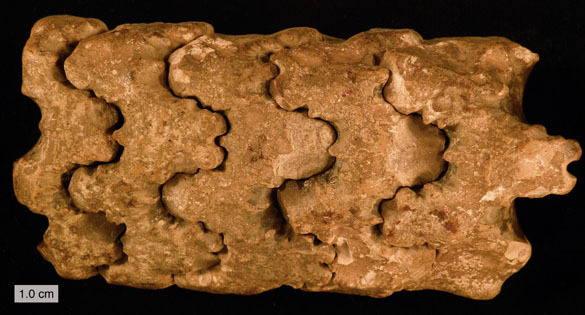 It is the “straight” ammonite Baculites, which is common enough, but the shell and internal walls (septa) have dissolved completely away, leaving this strangely articulated set of internal molds. This past week, though, it didn’t fool any of my students — they all identified it correctly. They must have a very good paleontology professor. This is a view of one of the “segments” of the baculitid specimen. It shows the sediment that was pressed up against one of the septa, which then dissolved away. You can barely see branching tunnels made by worms that crawled through the mud looking for deposited organic material, forming trace fossils. Baculites (meaning “walking stick rock”) was a magnificent ammonite. Its proximal portion was coiled as in all ammonites, but most of the shell (conch) grew straight. They moved like miniature submarines parallel to the seafloor, diving down occasionally to capture prey with their tentacles. They could grow up to two meters long and so must have been impressive predators. 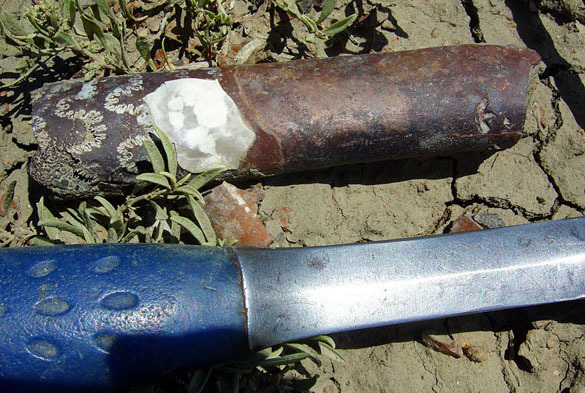 The above internal mold of a baculitid is weathering from the Pierre Shale in South Dakota. On the left end the complex sutures (the junctions between septa and conch) are visible; on the right is the extended body chamber. 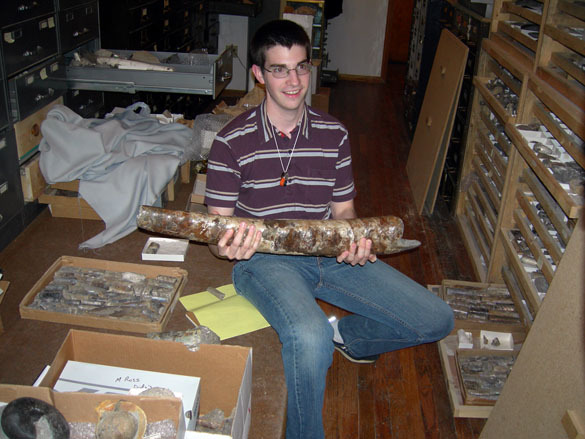 A happy John Sime (Wooster ’09) holds a nearly complete specimen of Baculites in the collections of the Black Hills Institute of Geological Research. We were on an Independent Study trip in June 2008 to South Dakota, Wyoming and Montana. A reconstruction of Baculites (foreground) at the Black Hills Institute of Geological Research. The genus Baculites was named in 1799 by the famous zoologist Jean-Baptiste Pierre Antoine de Monet, Chevalier de la Marck (1744-1829). 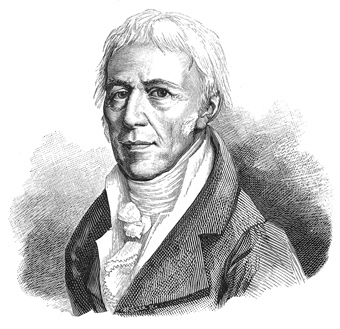 In fact, Lamarck (as he is more usually known) was the first zoologist. He was a soldier as well as a scientist, and he had some of the earliest ideas about the evolution of life. I’m sure he would be proud of my students for their fossil identification skills! 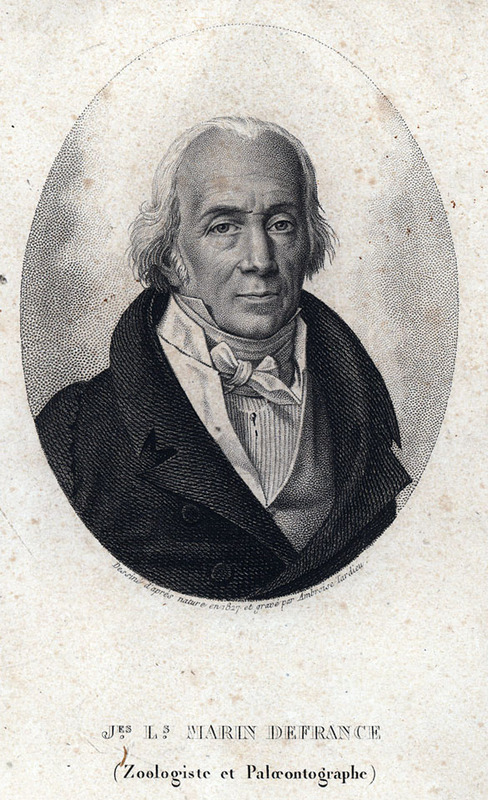 Lamarck J.-B. 1799. Prodrome d’une nouvelle classification des coquilles. Mém. Soc. Hist. nat. Paris, 74. This week’s fossil is a beautiful little gastropod (snail) scientifically known as Diodora italica (Defrance, 1820), and commonly as the Italian Keyhole Limpet. I collected it with Steve Dornbos (’97) during the 1996 Keck Geology Expedition to Cyprus, where it was part of Steve’s Independent Study project describing a Pliocene reef. 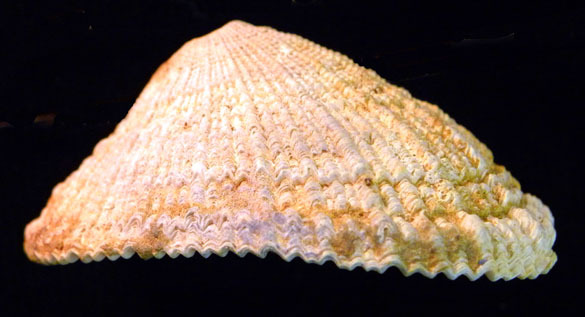 Diodora italica belongs to the Family Fissurellidae and is not a “true limpet”. The hole at the top gives it away as something different than the usual simple cap-like limpet shell. 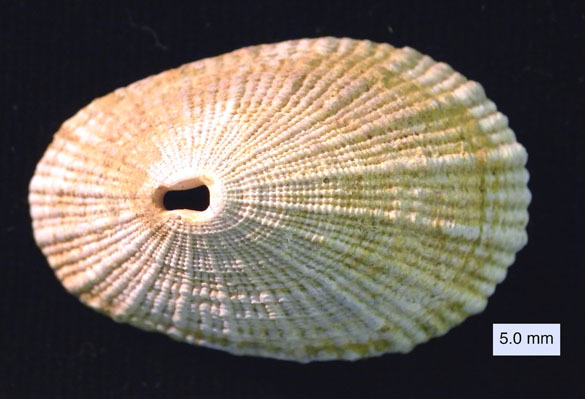 Several gastropod groups have evolutionarily converged on the flat shell because it is efficient at withstanding the stresses of strong waves and, curiously, the high pressures in the deep sea. Diodora is still alive, as you can see in this nice (and copyrighted) image. The hole at the top of the shell, the “keyhole”, is part of the respiration system of these snails. They take in water under the edge of the shell, pass it over a pair of gills, and then send the used water out the “chimney” of the keyhole. Diodora italica was described by the oh-so-French naturalist and collector Jacques Louis Marin Defrance (1758-1850). I can’t find much about him, but there is a nice portrait! McLean, J.H. 1984. Shell reduction and loss in fissurellids: a review of genera and species in the Fissurellidae group. American Malacological Bulletin 2: 21–34. Murdock, G.R. and Vogel, S. 1978. Hydrodynamic induction of water flow through a keyhole limpet (Gastropoda, Fissurellidae). Comparative Biochemistry and Physiology Part A: Physiology 61(2): 227–231.